“The crowds are bigger, the sales are sizzling,” says one industry report. “The outpouring of affection for this super-group has never been greater”. An avalanche of hits followed, many of which…”My Girl,” for instance…attained immortality. “It’s Growing,” “Since I Lost My Baby;,” “Get Ready,” “Ain’t Too Proud to Beg,” “Beauty Is only Skin Deep,” “I Wish It Would Rain”…the hits kept coming. When the sixties and seventies turned political, The Temps got serious. They changed their tone, dress and music. Producer Norman Whitfield led the way. His Temptations hits, many featuring Dennis Edwards who had replaced David Ruffin, burned with intensity. “Runaway Child” “Cloud Nine,” “I Can’t Get Next to You,” “Papa Was a Rolling Stone”, and “Psychedelic Shack” still smolder. 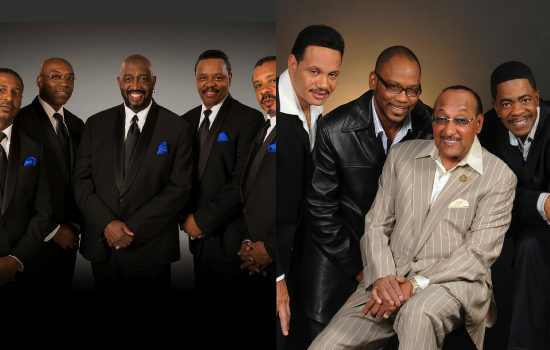 Other stellar singers…Richard Street, Ali-Ollie Woodson, Theo Peoples…joined and adding their luster to the groups’ growing fame.